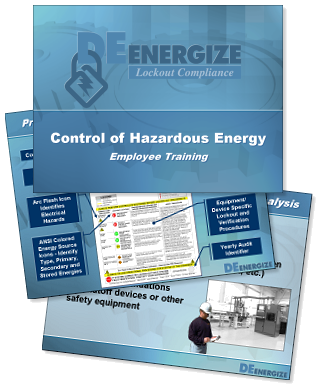 DEenergize instructors are fully versed with the proper Lockout/Tagout knowledge required to instruct our clients' associates on their DEenergize Lockout programs. We offer instructor-led or Train-the-Trainer courses. All associates are trained both in classroom and "on the floor" environments in order to obtain a full understanding of the "Control of Hazardous Energy." Students are provided documentation to assist their learning process and tested for knowledge and subject matter retention prior to being issued their certificate of completion. Our clients are more than welcome to take advantage of our Train-the-Trainer approach. This approach allows them full access to both instructor manuals and student handbooks in order to train new associates or to present refresher courses internally. 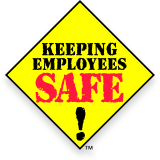 We're confident the DEenergize Lockout/Tagout course will supplement your existing Lockout instructions and enhance your safety initiatives. To inquire about DEenergize Lockout/Tagout Training or other related Lockout services, please use the Contact Information page.